As you may have seen, a new social media platform has been launched called Drive Tribe. Fronted by Jeremy Clarkson, James May and Richard Hammond, the basic concept is centered around hundreds or groups, or Tribes as they prefer to call them. You can make your own tribe and you can join tribes which interest you. DriveTribe has the potential to be successful, but we will see. I was accepted to become a member of Drive Tribe a while back and had a tribe for a while as the platform was tested. Drive Tribe is now live, so welcome you to take a look at the two tribes I have created. Spotter Guides, as you will have guessed centers on my Spotter Guide series. This is really more of a networking and information page where I announce Spotter Guide releases as I do on Twitter and Facebook. 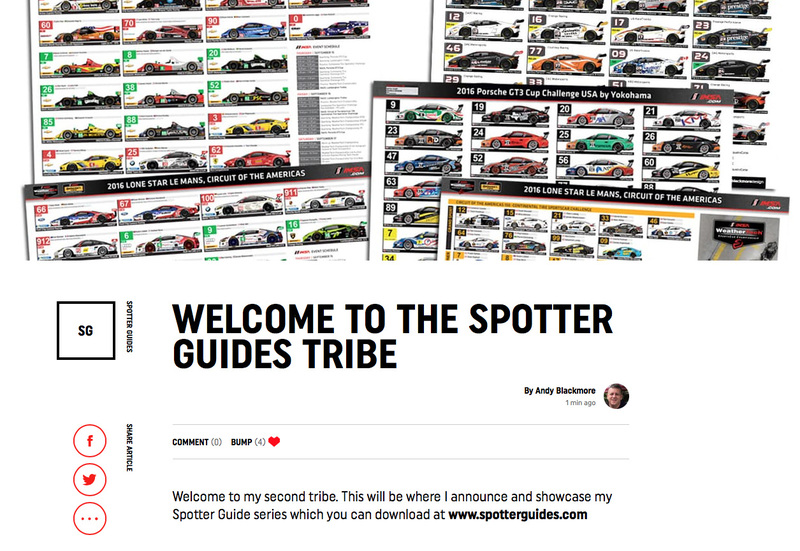 You can join the Spotter Guide tribe here. My other Tribe is titled, Liveries & Design, which covers liveries past, present and future. We look at Livery icons and also a review of liveries each month. This is currently an open tribe, so anyone can post. 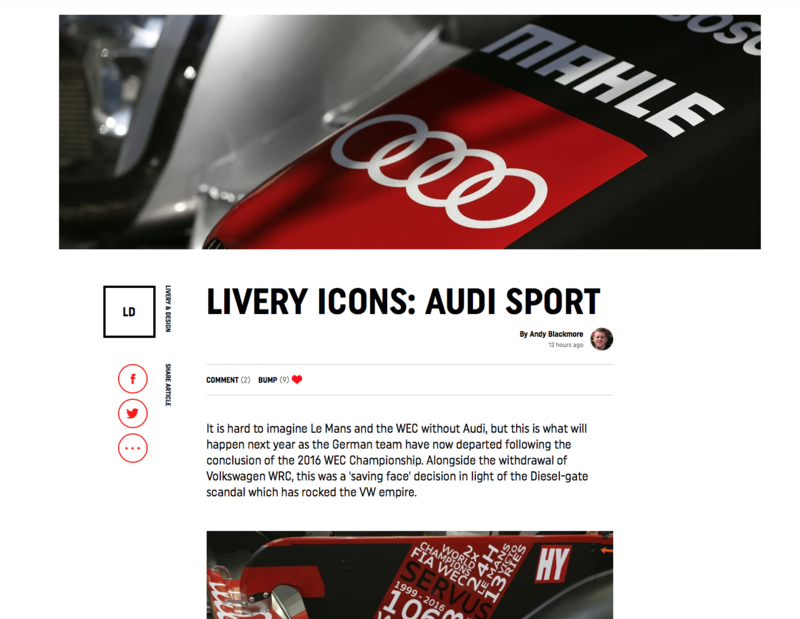 My first feature on the livery progression of Audi Sport is now online here. You can join the Liveries & Design tribe here. So, over to you, join my tribes, spread the word and make sure you post some quality material. Please make sure imagery is your own (or OEM image etc).